The sounds were extracted by Avery Magnotti and pulled from the audioOS resources in the file. In order of presentation, they are alarm1, Lighthouse, SessionInactive, SetupFinal, SetupStepSource, SetupStepTarget, timer1, TwoShot, and WOCAudioPasscodeTone. Magnotti also discovered on Monday that the HomePod would have 1GB of RAM, and a 272x340 screen —the same as the 38mm Apple Watch. Apple's $349 HomePod was revealed at the 2017 WWDC and will ship in December. 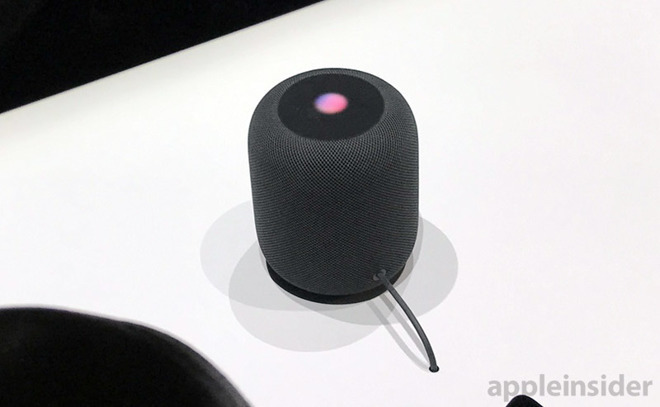 The HomePod is powered by an Apple A8 chip and features realtime acoustic modeling, audio beam-forming, and multi-channel echo cancelation. It also contains a subset of Siri, optimized for music consumption.